NOTE: For those of you who subscribe to our newsletter “Bites From The Cheese Shop” I apologize for the delay in bringing it out, I had lot of early year stuff I had to address, but will assume a regular schedule soon. Thanks for your patience. Sorry I’ve been MIA much of this month. I’ve been busy with lots of boring offline stuff that had to get done, and there was a bit of drama regarding the status of my debut novel GABRIEL, which I’ll talk more about at a different time. 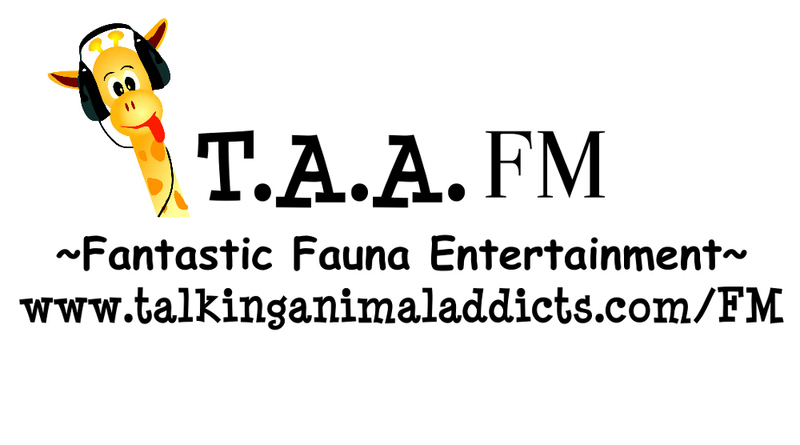 Until next time, may the fantastical fauna be with you! For the little “Fixer Upper” in your life. UPDATE: Check out our full review! 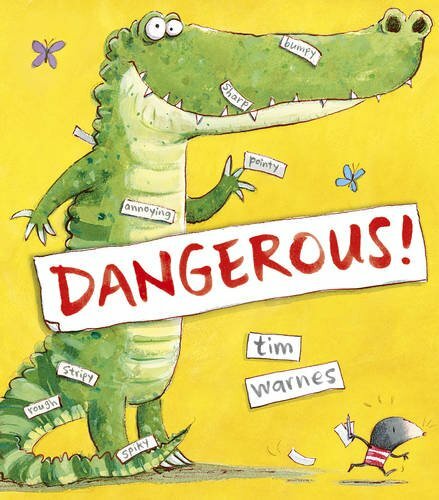 Author-Illustrator Tim Warnes brings us cautionary tale with a twist. 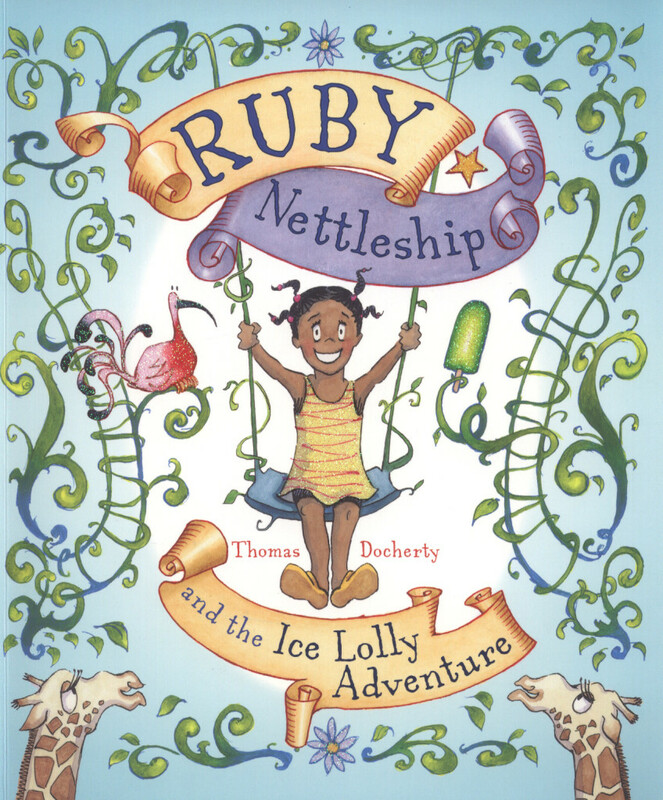 The “Old Chestnut” style to the illustration certainly helps my anticipation of this March 2014 release. As those who know me well know, I’m an advocate for N.T.B.M. In the spirit of the song, “William’s Doll” (From “Free to be You and Me“) co-authors Sarah and Ian Hoffman bring readers a story that despite any potential controversy it sparks, touches on something every boy and man who was “Different” has to face, but all too often, in a negative and abusive context. In a world where girls and women the world over are breaking boundaries and redefining what it means to be a girl or woman today, boys and men have been left behind (And LEFT OUT) of the local and increasingly GLOBAL conversation in this age of redefining their non-standard gender identity. Even if your son/brother/nephew/etc. 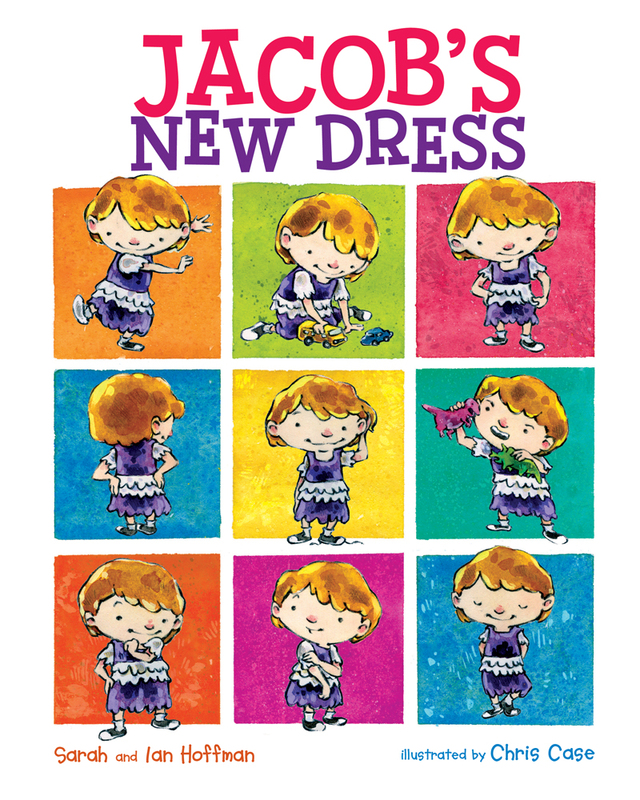 isn’t like Jacob, this book might be wise to keep on your eyes on when it launches early next year. Trust your Literary Rat on this one…I’m a non-traditional man and proud of it! 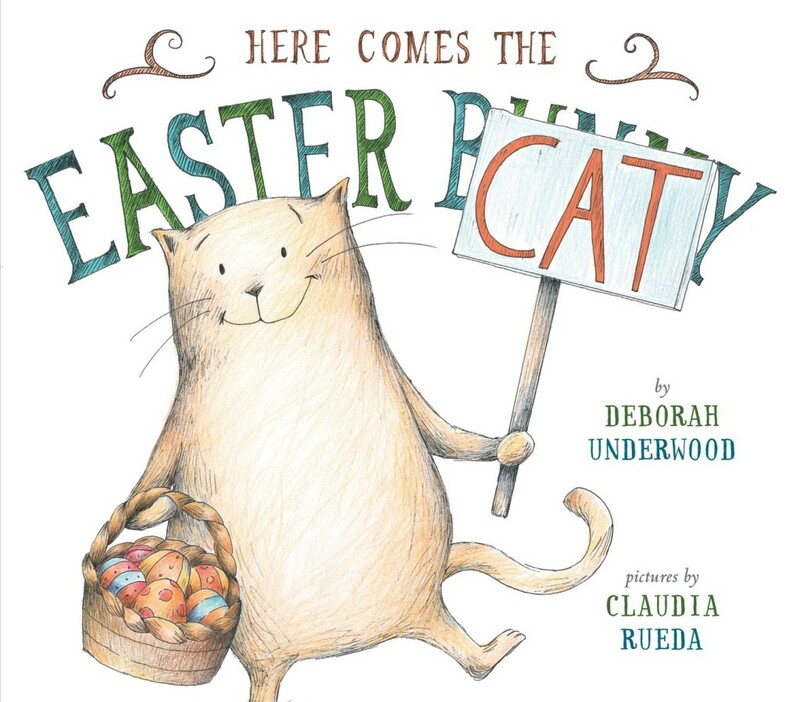 It seems dogs aren’t the only rivals for this cat given the title of the latest from author Deborah Underwood, best known for “The Quiet Book” and it’s companion “The Loud Book.” Easter may be many months away (At the time this post is being written) but it never hurts to plan ahead with seasonal titles. 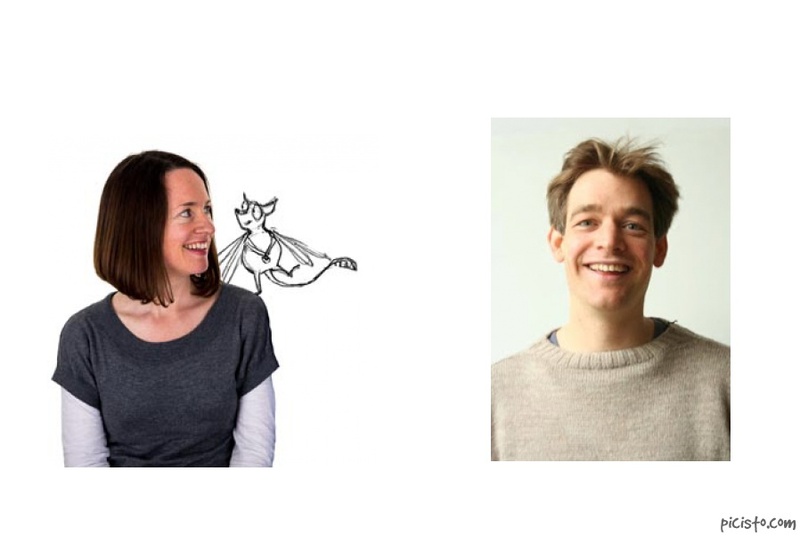 For more on Thomas Docherty (And his author wife, Helen) check the links above for our author spotlight article featuring their previous solo and collaborative work. 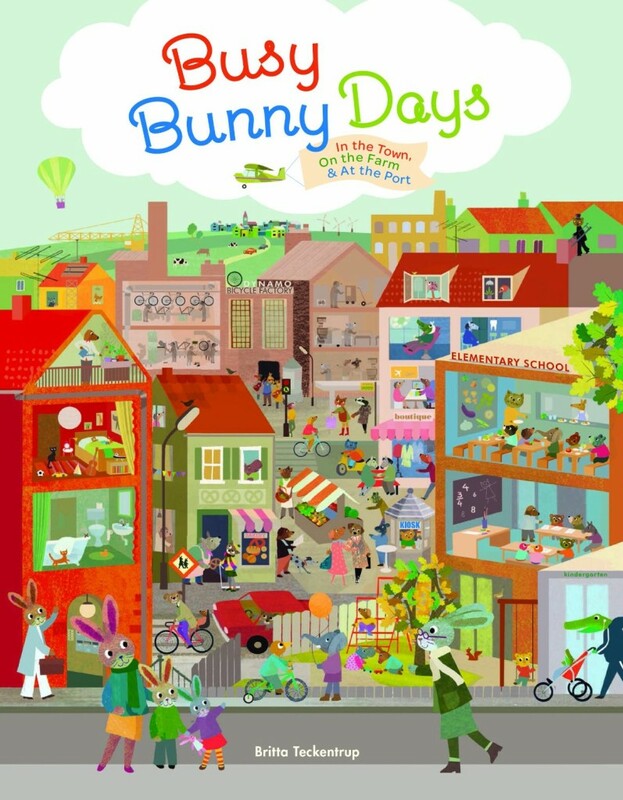 a rabbit lover’s utopia in picture book form. As loyal T.A.A. 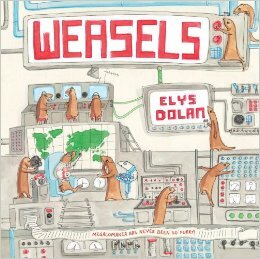 readers know, I’m working on a fairy tale style novel (Working Title: The Baroque Weasel) but while my weasel is a hero, this picture book by author-illustrator Elys Dolan uses their classic role as a gang trouble making upstarts who try to take over the world. UPDATE: Check Out Our Review! 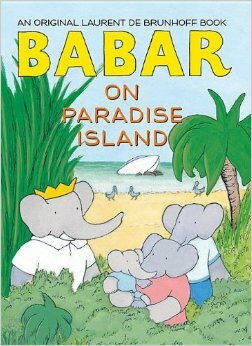 Much like other classic series such as Madeline and The Berenstain Bears, an extended family has carried on where the original creators left off, and the pachyderm who became King is off on yet another adventure, but will paradise turn out to be a foreboding misnomer? 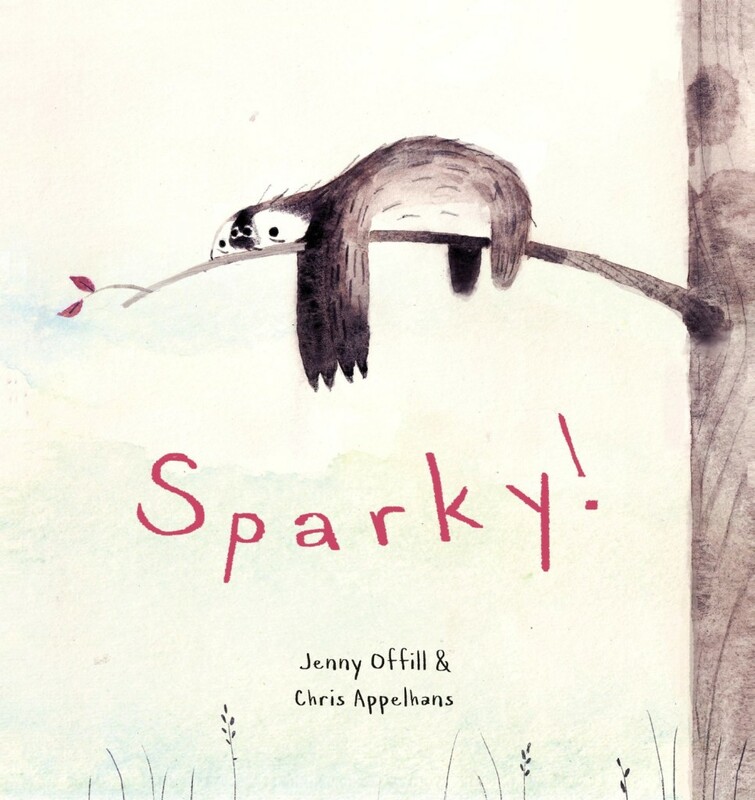 First released in the U.K. in October 2013, Author-Illustrator Charlie Sutcliffe makes his picture book debut in the U.S. in 2014. The DIY Diva/Fashionista is back and fancier than ever. What better than a wedding to bring the appropriate glam and big vocabulary to the table. Nancy may not always “Keep it Simple” but she always keeps things sensational! Just like a certain “Wimpy Kid” this character began as a niche online experiment by author-illustrator Sam Garton, and is now entering the print book world in April 2014! 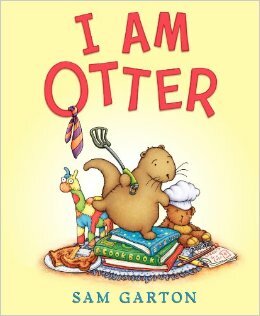 Fans of Calvin and Hobbes and Katie Davis (The Latter of which was spotlighted for Picture Book Month 2013) will be in stitches when Otter struts in! If you’ve got an upcoming release that you’re excited for, or any comments on the books mentioned above, please share in the comments below. T.A.A. LOVES hearing from you, our precious readers. 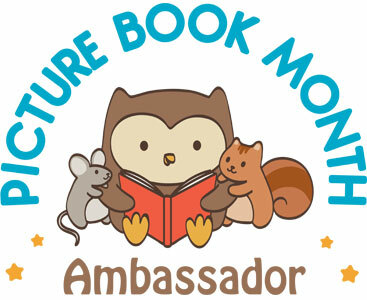 Thanks for spending Picture Book Month with T.A.A. 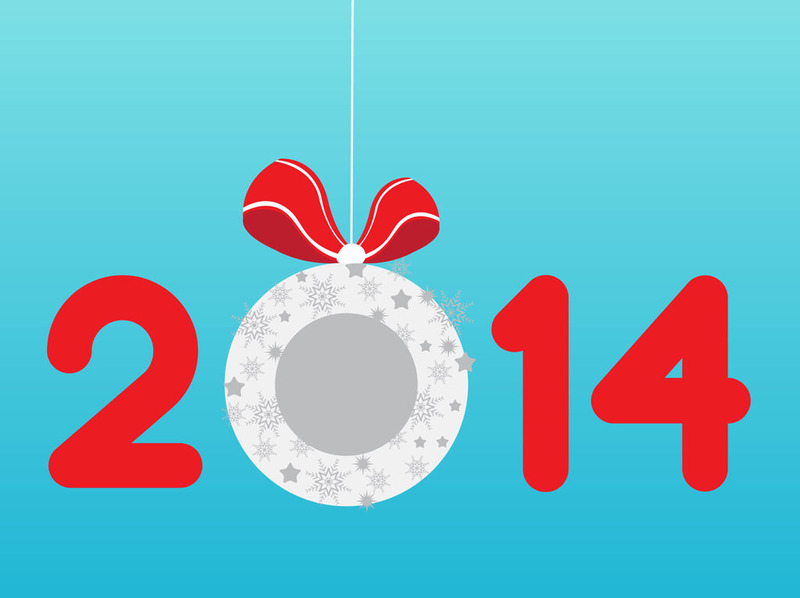 We’ll be back for 2014 and beyond. 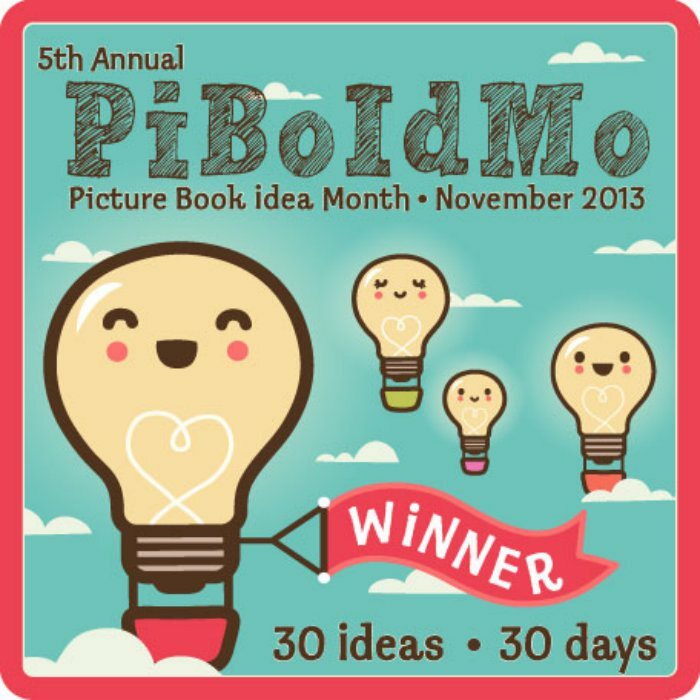 I discovered this on November 1st, 2013, at the START of Picture Book Month, when I was out book browsing, and while I couldn’t get the book at the time, what I read (4 pages) convinced me I MUST buy before year’s end. I will be getting it soon and look forward to a review. 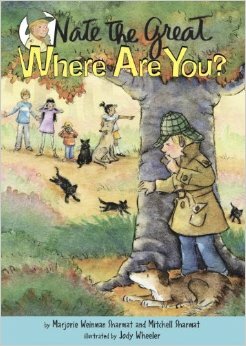 My point is this: Like Julia Donaldson from our first spotlight, Helen NAILS the rhyme scheme of her book, which is looser than many rhyme-centric narratives, but works all the same. 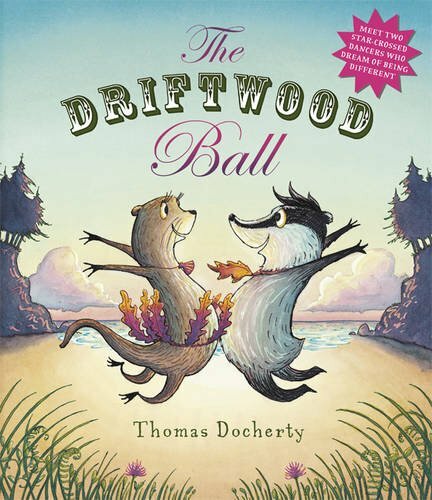 Thomas Docherty’s illustrations really brings life and warmth to the world where beloved books go missing, and characters have a Seuss-esque quality to them, and I promise you, I don’t throw down that kind of statement lightly. 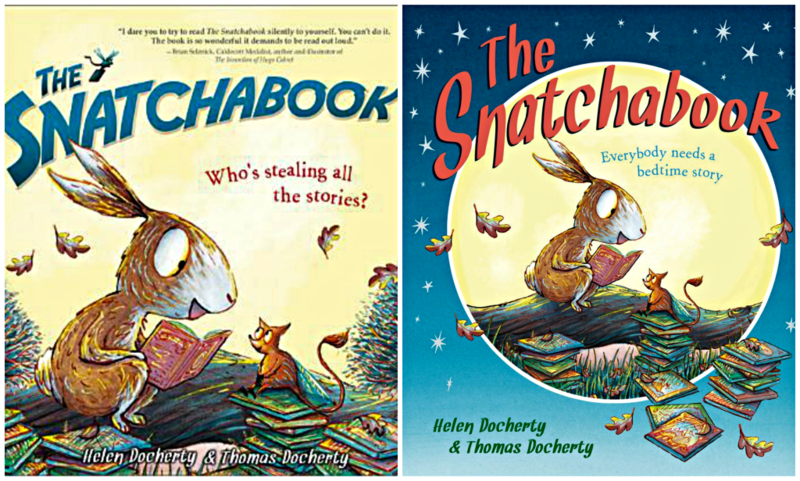 While Thomas Docherty has written and illustrated 6 picture books of his own (And Illustrated “The Snorgh and the Sailor” written by Will Buckingham), “The Snatchabook” is his second collaboration with his wife, and author, Helen Docherty! Now we go from one love story to another. Like London, Italy, Paris, and more recently India and/or Japan, books have always had a storied history with an ongoing playlist of love songs to iconic settings (Real, imagined, and all in-between) and picture books are no different. In fact, with SO MANY love songs to a specific place, it’s HARD to stand out, but I believe “Herman and Rosie” is one such stand out. For me, of the many love songs to New York (Real or Surreal), this book DOES jump out in the most positive sense. There’s something about the vintage feel that I’ve always responded to, long before I even knew the history behind it, which only enriched my appreciation as I got older. 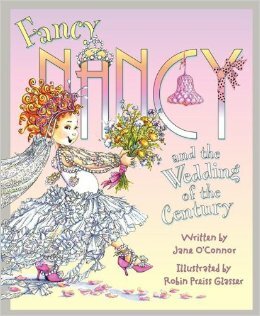 The Fancy Nancy series is what immediately come to mind. Nancy’s “DIY” fashion/interior design spirit wouldn’t have the charm and impact if it had been taken too literally. 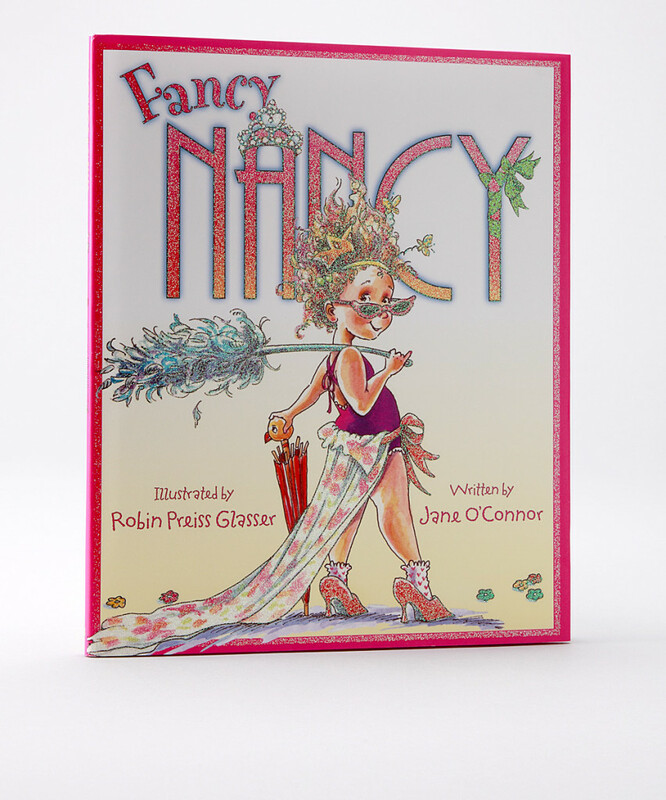 As author, Jane O’Connor has said in interviews, she made the point to series illustrator, Robin Priess Glasser (via NECESSARY art notes) that Nancy’s “Fancy” was less idealized Martha Stewart/Mary Engelbreit, and more playful and resourceful. Like those old cartoons of kids playing knights wearing pots on their heads to affect those iconic helmets. But Gus Gordon’s first children’s book reminds me, and I hope others, too, that “Dated” details aren’t always the “Kiss of Death” we often attach to non-modern things in general. While many young readers (And even their parents born LONG after the ’80s) will not necessarily know that black half moon poking out on the cover is a vinyl record, and that the overall design from the front and back over reminds me of the now “Old School” way people enjoyed music. As many audiophiles know, vinyl records actually best preserve the highest quality (Uncompressed) audio when thoughtfully produced, which outside of archival preservation for historians, is a tangible reminder that not everything vintage is obsolete and unloved. While the art style is clean and not what some would call “Busy or Gaudy” it avoids the “Minimalist” movement in books these days, I don’t just mean minimalism in terms of text (Which I have certain thoughts on that I will share at a later time) but in how the illustrations manage to feel modern yet warm at the same time. Like Frog and Toad, Mole and Ratty, and more recently brother-sister duo Judy Moody and Stink (This may be “Talking Animal Addicts” but we embrace humans here, too! 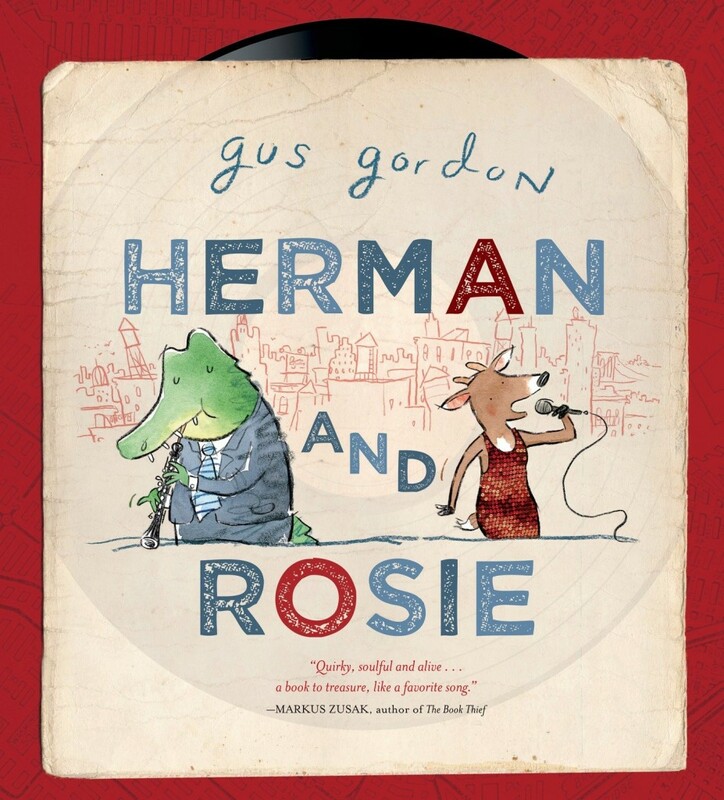 ), I hope Herman and Rosie has as beloved and prosperous legacy for young readers now, and for any literary rattlings of my own that one day will emerge. 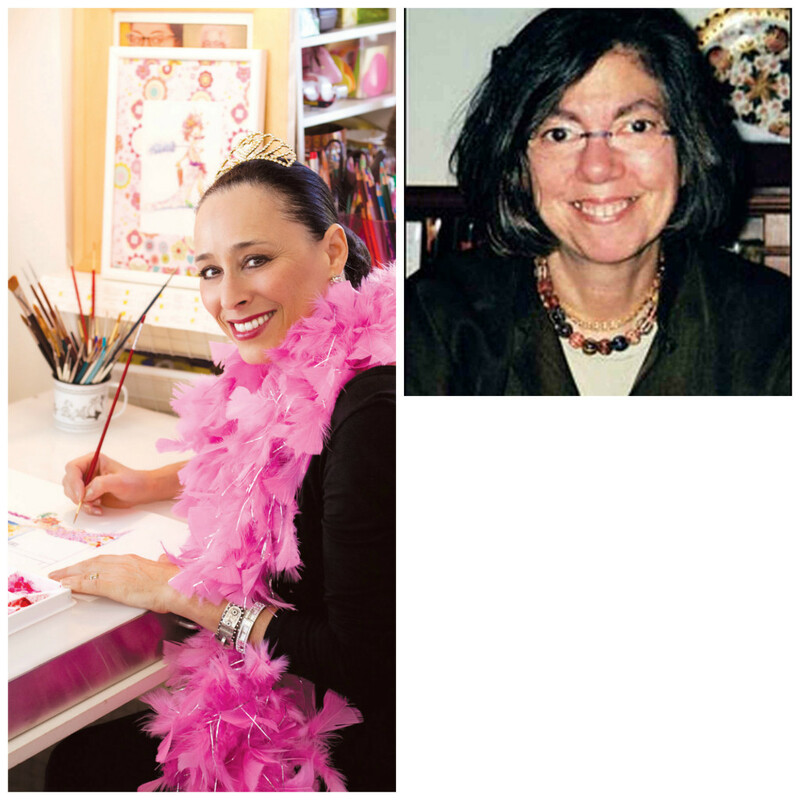 Check back tomorrow for part 2 of our finale by highlighting some picture books T.A.A. has their eye on in 2014! Until then, may the fantastic fauna be with you. clicking on the affiliate cover images above. Today’s Spotlight will be a little different, and possibly tissue-inducing, but I hope no less inspiring. 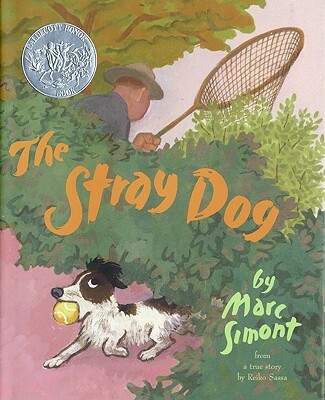 I wasn’t as familiar with Marc Simont’s work, at least not directly, but learned some interesting things in doing research. As for Crocodile Flint, it evolved from being a chapter book to a novelette type story that I will soon be publishing it via the new reading platform called “Snippet” but I’ll share more details on that in the near future. 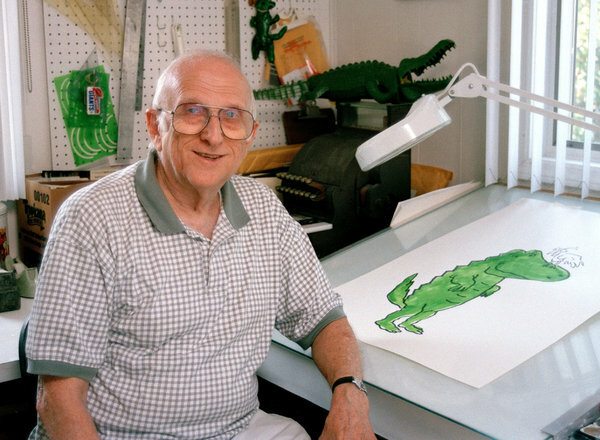 Of his many notable books, his most well known are “Ira Sleeps Over” and his series starring “Lyle the Crocodile” which are are a personal favorite of mine. What I love most about the Lyle series is how even though Lyle never speaks, you still feel you know him. He’s the kind of character where actions and expressions say all you need to know, and despite the “distant” narrator, it doesn’t feel like you being told what Lyle thinks and feels, and anyone whose tried to write a tight first person or close third POV know this is NOT easy to do. 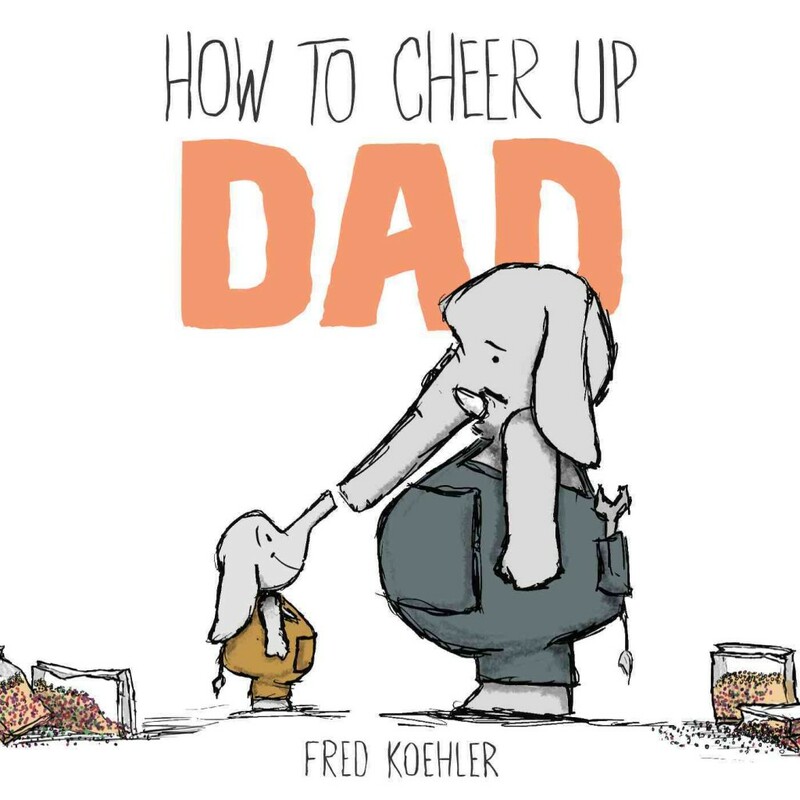 While picture books are usually in third person, and often past tense, there are some in eithe first person, and even second person (If You Give A Mouse A Cookie), that with a skilled author can bring freshness to the narrative and it’s adjoining illustrations without being pretentious. That said, it’s not easy to use a detached narrator and avoid the issue of readers not feeling connected to the characters or being told how they feel. But the advantage of picture books (And by extension, Comics and/or Graphic Novels) is to use visuals to express what words alone either can’t convey, or are unable to within the vocabulary and word count constraints inherent in picture books especially. This is made more impressive by the charming illustration style and how facial expressions really pop. 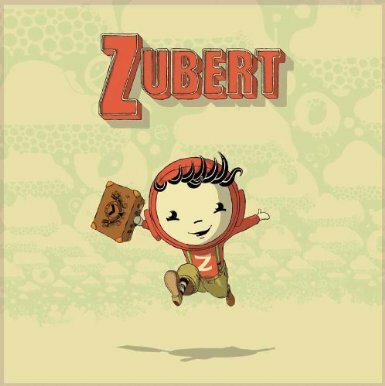 While some “Modern” picture books can take it to task in the wake of the “Minimalist” movement of books in general this first decade in the 21st century, for me, this is a case where the old-fashioned feeling of the story is its strength, rather than as a liability. The word “Dated” has negative connotations in publishing, but to me, what really dates a book isn’t necessarily slang (Though is a legit concern, especially in novels), but it’s stance to the reader. 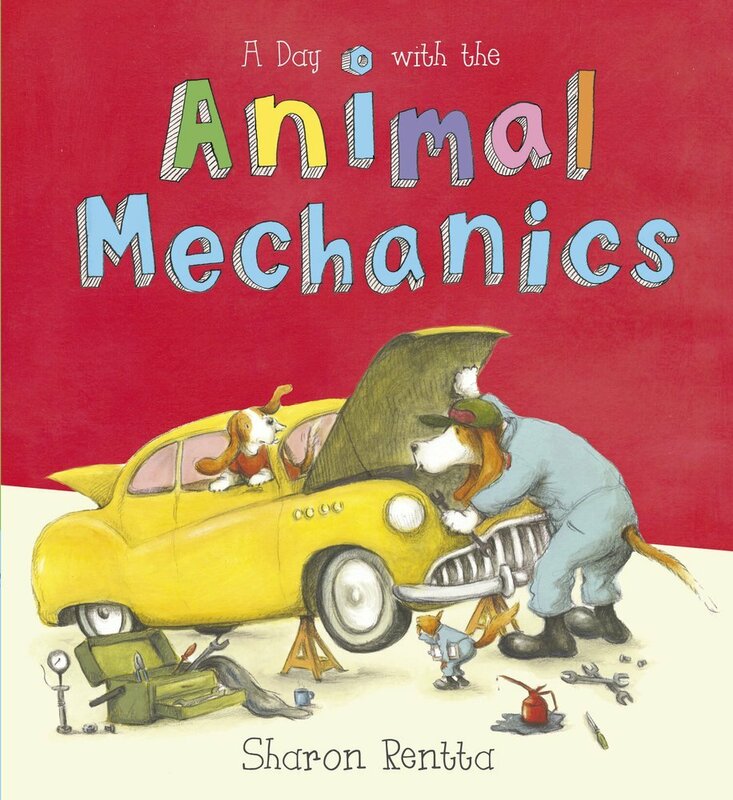 For me, the most enjoyable picture books are the ones where as clearly labored and thought out they may be, they never read self-conscious to neither the kids or the parents (Or other family members) who share the story together. For a chatty, detail freak like myself, when you can relate so pogiantly to a character who doesn’t speak, you can’t help but say “WOW!” if only to yourself. Being primarily a novelist, taking away a character’s ability to speak in WORDS for me is like taking a kid’s favorite toy without asking, cruel and jarring, but it also inspires me to better pay attention to facial ticks and unspoken (yet still RELEVANT) feelings of my characters. Vital for picture books, but still apply to novels, though there’s more freedom of structure and word choice because of the larger canvas you have. In short, I’ll miss you, Bernard Waber, but I thank you for bringing your books into this world. I came to the joy of picture books later than many, but I know that I’d be just as charmed by Lyle at 4, as I am now at 26, with no kid siblings or kids of my own (Yet…) to hide behind. My site may be called “Talking Animal Addicts” but Lyle shows us that animals (real or imagined) still have a voice. This is merely a voice you need to feel and see rather than hear. 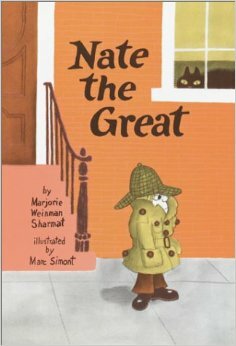 Have you Marc Simont’s “The Stray Dog” or Bernard Waber’s “Ira Sleeps Over” or one (if not ALL) the Lyle books, and any of his other books? If so, please share your thoughts in the comments. Your literary rat loves to hear from you. 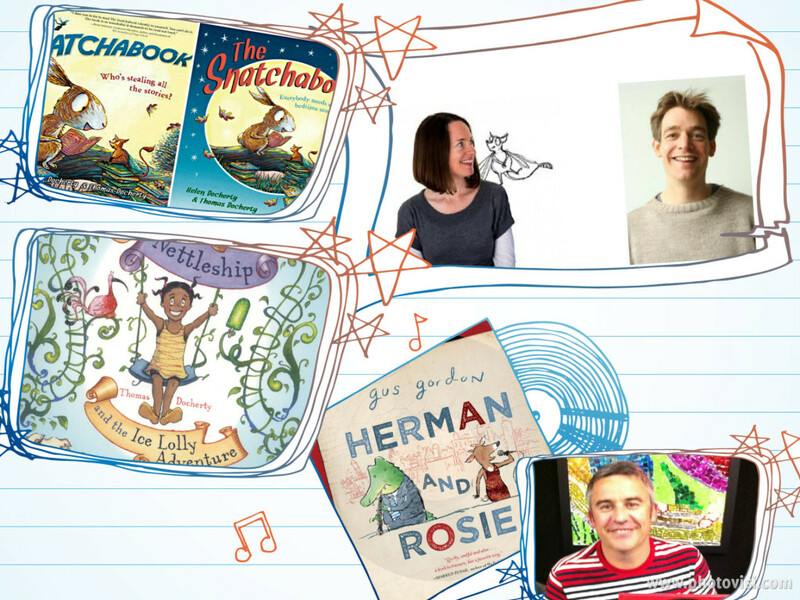 books by authors and/or illustrators who made their debut in 2013. Until then, may the fantastical fauna be with you. I discovered these books at a time when I feared what I loved reading and writing was no longer being published and appreciated. When I say that, I’m saying this in the context of the author I was trying to become, and what I fiercely hope am starting to be. When I made the decision to do book reviews on T.A.A., I promised myself that while I will not be a snob about books (Something more dangerous for authors than lay readers), I HAD to also shed light on books that may not sell the millions (As both authors and publishers would like that to be the case) they MATTER to the readers who do buy them and read them. This isn’t a review of the series , but rather one writer’s commentary on what it means to me, proper reviews will come in time, and as such, I avoid any and all plot spoilers. A book to love And a book to learn from. While my writing mentors at the time, made the wise (Though HARD to live up to) suggestion to study the books. As someone who had a far from ideal school experience, the LAST thing I wanted to do was analyze books in my genre, because it took away the solace I NEED from books and their characters, something I VIOLENTLY needed that I could not get from family, and had no friends offline, and my e-pen pals only help so much from what I felt then, and still do sometimes, but I have better resilience now. While lay readers can love what they love without questioning themselves, those of us in publishing (Myself included) have so much more to consider. Before I go further, I need to stress something critical: Writers HAVE to think of the here and now of books, and not let the great books of the past intrude too much. Readers are increasingly more impatient and easily bored if you drag on too long. Even though I didn’t learn to love books for pleasure until high school (I still could read technically mind you, I just didn’t do it for fun like many authors in their own youth had) I do tend to love books (or films and television, for that matter) published in the past, either from my own childhood (The 90s), or as far back as the early 20th Century. As writers, we not only have to consider what we loved/not loved reading, but how it’s written, and annoying as it is sometimes, WHEN it’s written. Books published during the writer’s childhood aren’t necessarily reflective of what’s published today, and writers need to keep today’s readers in mind, and this is something I still STRUGGLE to make peace with. Not that there aren’t books written now I don’t enjoy, after all, the series I’m highlighting was NOT published in my childhood (Though the first book was originally published on the tail end of my teen years) though I wish I’d known of it then. focus, that animal fantasy is my primary genre as a writer, though I do read more broadly. As fellow series loyalists know (However few of us there are at the time I write this), Hermux keeps a notebook where he writes his blessings amidst moments of mystery, tragedy, and joy. Hard earned. Hard Won. 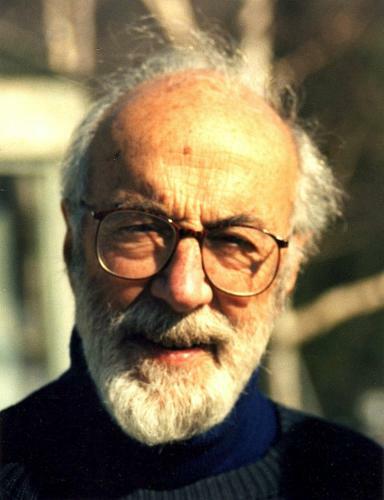 Thank you for authors like Michael Hoeye, who had the courage and jaunty zeal to self-publish at a time when the practice was all but unheard of, and considered social death to authors and publishers alike. rewarded, if not monetary fortune, in a grateful “literary rat” such as myself. Of course I thank your wife, too, who convinced you to keep moving forward on that first book of what would be a literary quartet to be proud of. Thank you for reminding a frazzled literary rat of an author like me, that what I love reading and writing (Despite setbacks and dealing with ignorant comments on animal fantasy) STILL gets published, and I’m glad you never gave up on Hermux, and I LONG for a new installment, or something new. Your books helped me stay the course as I toiled the last decade to bring my debut to press. Thank you for Michael’s literary agent, Elizabeth Harding, who saw what I saw in these books, and why I sent her a query. Even though at the time I was told via her assistant she wasn’t looking for new clients, I love we share similar interests in authors, sorry if it sounds like pandering (Should Elizabeth or anyone who knows her reads this) but I do mean it with utmost sincerity. for bringing the hardcovers to the U.S. Thank you to “The Bookbeat.” The last known indie bookstore in my home state of Michigan, at least that’s the easiest for me to get to via the convience my grandmother’s Volvo (I don’t have a Driver’s License, nor can I afford a cat and it’s mandated insurance if I did) for having a SIGNED edition of “No Time Like Show Time” I was willing to pay over twice the MSRP ($14.95 USD) to obtain. And Thank You for writing the books I WISH I could’ve written. In fact, your series inspired my current novel in progress, and the hero of that book while not a mouse but an otter, I think he and Hermux would get on famously. I would love to have my hardcovers the other three books signed while you’re still on this Earth. Many of my cherished authors are dead, most recently Bernard Waber. (How grateful I am to have obtained a signed copy of “Lyle and the Birthday Party” also obtained from “The BookBeat” before prices go sky high, but only in absolute desperation will I EVER sell it) I pray I won’t be too late for you.